From Calvinist to Catholic, from Charismatic to AmaZioni, the Rainbow Nation has one of the most colourful, variegated, and bewildering array of Christian churches in the world. Where on earth did they all come from? How did they develop? What do they believe? 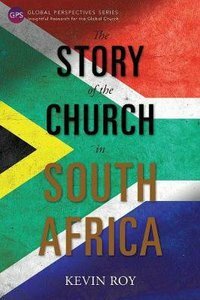 How are they related to one another?In this clear and readable history of Christianity in South Africa, Kevin Roy answers these questions with comprehensive, succinct and rigorous historical analysis with sympathy and honesty. Dr Roy does not shy away from the failures and sins of the participants in this story that intertwines with the history of the peoples and tribes in South Africa. This book is a testimony of divine love and patience in the midst of human folly and frailty, of successes and faithful service to God. About "The Story of the Church in South Africa (Global Perspectives Series)"